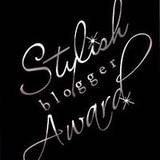 Love and Pancakes: My Fist Blog Award! 1.) I cannot wear to socks to bed...EVER! 2.) Monk was my favorite television show (until it had it's last season *tear*) partly because I could relate a little to his OCD tendencies. *Note that I said A LITTLE!!! 3.) One of my favorite things to do is after I put Punkin to bed, I curl up on the couch with my man and a glass of wine and we catch up on episodes of our favorite shows. 4.) I am obsessed with coffee with flavored creamers and could drink it all the time! 5.) I knocked out my two front teeth when I was little learning to skateboard. Thank goodness they were only baby teeth! 6.) I have an extremely large family and even though they drive me absolutely nuts and are good at raising my stress level significantly high, I still love them. 7.) I plan on owning my own business and WILL succeed! These blogs don't have embedded music, are fairly uncluttered and easy on the eyes. These blogs are put together really well and are fun to visit. Yay! I can't believe that is your first! Thanks for passing it on. Hope you have a wonderful rest of your week! Oh wow! I am so touched that you would nominate me! Thanks Melissa. Sending you a BIG hug. ps - loving your blog. So cool to follow other mommy's journeys through parenthood! It's comforting and encouraging. Yay. Thanks for the award. I'm going to post this on mine (just as soon as I get a few other things done!) And, I just noticed that SUPERCUTE pic of Haley by the Christmas tree. ADORABLE! Congratulations on winning the award. And thank you for passing it on. I couldn't find an email address to write to you. So thank you again for the honor. Thanks so much, doll! Oh, and I'm right there with you on the not being able to wear socks to bed thing. I absolutely CANNOT sleep with them on! Hi Melissa! Thank you so much for the award! I appreciate it. I look forward to passing it on!